Ads that promise quick and easy weight loss without diet or exercise. Wouldn’t it be nice if – as the ads claim – you could lose weight simply by taking a pill, wearing a patch, or rubbing in a cream? Too bad claims like that are almost always false. First off, the public’s obsession over ephedra and other over-the-counter weight loss stimulants exemplify the magnitude of misinformation. 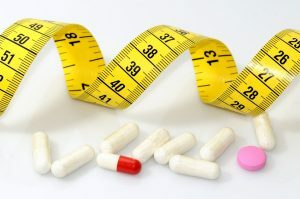 There is a minefield of fat burner supplements that are based on partial truthsexaggerated by powerful marketing campaigns at an enormous cost to women’s health. The partial truth is that in clinical studies Ephedra does promote fat loss! With this partial truth the health and wellness industry has flooded the market with these so-called natural fat burners. As many you may be aware, On April 12, 2004, a final ruling by the FDA went into effect prohibiting the sale of dietary supplements containing ephedrine alkaloids (ephedra) in the USA. But this has not stopped many women from having access to ephedra-based products through internet sales from rouge online pharmacies. Also, many of the big supplement companies like Metabolife have simply substituted the ephedra ingredient with a similar derivative called synephrine. It (synephrine) is a drug that has a very similar molecular structure as ephedra — and when used in place of ephedra the product is labeled Ephedra-Free! Just in case you want to know… Ephedra, also called Ma huang, is a naturally occurring substance derived from plants. Its principle active ingredient is ephedrine, when chemically synthesized is regulated as a drug and is used as an effective treatment for asthma. While Ephedra products are banned in the USA, there are still a huge selection of similar products available. There are many fat burners in the market. Just do a google search and you will find them. If you must have them, then at the very least buy them from a reputable store. But how do you choose between these products? What product will give you the best results? If you care about these questions, then there is only one obvious conclusion! …my answer is NONE of them! But, if you want a specific review on a fat burners product, consumerlabs.com is a great fee based service. The big question is how effective is ephedra-based products and at what cost to your health! This is where the exaggeration and hype creeps into the picture. After you look at ALL the scientific data on ephedra research you will understand the real story.